Gambling isn’t a way to make money. Play for fun – when the fun stops, so should you. Don’t borrow money to play. Don’t play to win back losses. Treat money spent on the lottery as an entertainment cost, like going to the movies. Q: What is problem gambling? A: Problem gambling includes all gambling behavior that damages personal, family or vocational pursuits. In extreme cases, problem gambling can result in financial ruin, legal problems, loss of career and family or suicide. Q: Isn’t problem gambling just a financial issue? A. No. Problem gambling is an emotional issue that has financial consequences. You can pay a problem gambler’s gambling debts, but the person will still be a problem gambler. Q. Who can become a problem gambler? A. Anyone who gambles can develop gambling problems if one is unaware of the risks. Q. Can you be a problem gambler even if you don’t gamble every day? A. The frequency of gambling does not determine if there is a problem. Q. Then how much money do you have to lose before gambling becomes a problem? A. The amount of money won or lost does not determine if there is a problem either. Gambling becomes a problem when it causes a negative impact on any area of the individual’s life. Q. Do casinos, lotteries and other types of gambling cause problem gambling? A. The cause of a gambling problem is the individual’s inability to control his or her gambling. A casino or lottery may provide the opportunity for a person to gamble, but it does not create the problem. Q. Then what is the responsibility of the gaming industry? A. Everyone who provides gambling opportunities has a responsibility to develop policies and programs to address underage and problem gambling issues. According to the National Council of Problem Gambling, most problem gamblers will answer yes to at least one of these questions. Have you attempted to stop gambling, but couldn’t? Have you borrowed money to finance gambling? Have you gambled to get money or to meet financial obligations? Have you felt remorseful after gambling? Have you felt depressed or suicidal because of gambling losses? Have you broken the law or considered it to finance gambling? Problem gambling is a preventable and treatable disorder. 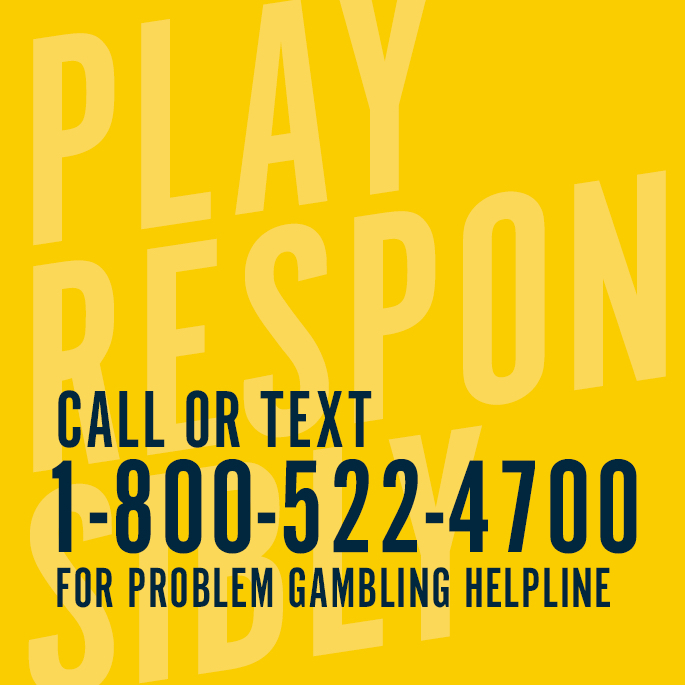 If gambling is causing a problem for you or someone you know, help is available. Call or text the 24-hour confidential National Problem Gambling Helpline at 1-800-522-4700, or visit www.ncpgambling.org. Or contact Gamblers Anonymous at www.gamblersanonymous.org.